Kodak’s stock is up 66.91% at $11.40 in pre-market trading on Wednesday. Shares soared as much as 136% on Tuesday, the day the news was initially announced. In partnership with WENN Digital, the new digital currency is intended to help photographers with image rights management. Several companies from iced tea to poker to cannabis have pivoted to blockchain and watched their shares skyrocket. The photo company’s stock is up 117.46% this year. 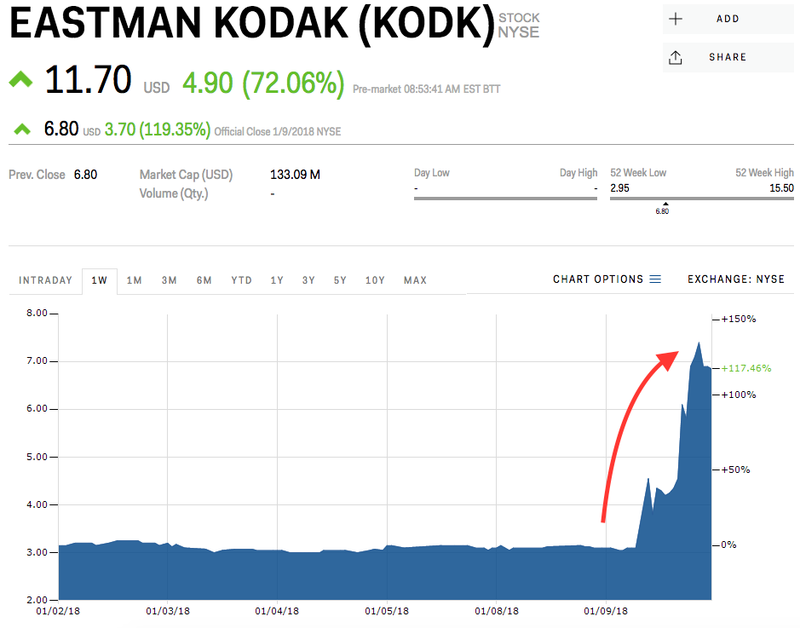 To view Kodak’s stock price, click here.